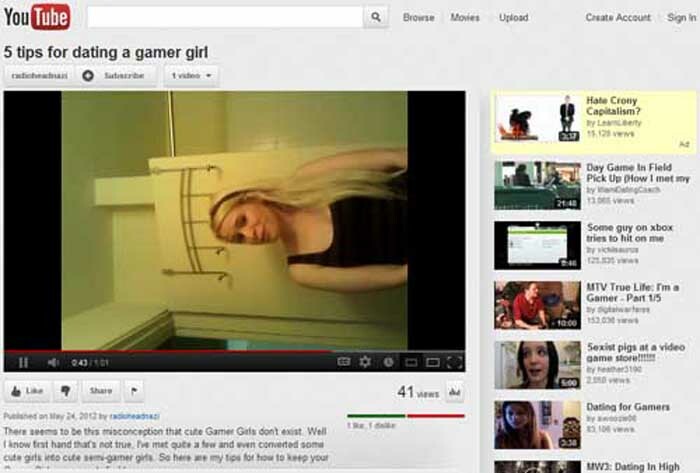 Gamer girls. They do exist, you know. In fact, this past January during an advertising campaign we ran as part of our official beta, 48% of our user sign-ups here at LFG Dating were women. I am not kidding. This gamer girl is also not kidding when it comes to her 5 tips for dating a fellow gamer girl; guys – pay attention. Also, be prepared to have a sore neck after watching this video. Register at LFG Dating for free today!